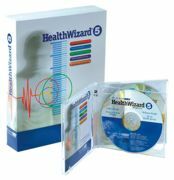 Add a wellness program or update your current one by using the MicroFit HealthWizard software and FAS-2 fitness assessment equipment. MicroFit products test physical measurements like blood pressure, body fat, cardiovascular fitness, strength and flexibility. It also has components to analyze wellness behaviors, create exercise plans and run a weight management program. More than 3,500 clients at all types of facilities use Event Management System (EMS) products, including facility/resource scheduling and Web calendar software, to book space, reserve resources, arrange for services, handle billing, produce online calendars and much more. Mindbody offers Web-based business management software tailored to businesses in need of scheduling and business management systems. Regardless of how you run your business, Mindbody's affordable, scalable and completely customizable solution offers powerful benefits. Mindbody offers business management software, integrated Web scheduling, total client management, e-commerce solutions and strategic marketing. Markets Served: health clubs, gyms, fitness centers, personal trainers, day & health spas, yoga studios, Pilates studios, swim centers, etc. Book King is a simple and intuitive recreation management solution. Book King offers a complete solution for facility scheduling, program enrollment, membership management, e-commerce and point of sale. 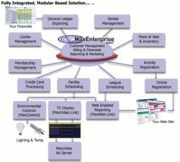 Maximum Solutions is a leading provider of recreation industry software since 1994. Applications include facility reservation, program registration, point of sale, membership management, league scheduling and general ledger export. Aspen Software offers state-of-the-art modular solutions designed to improve membership sales, retention and cash flow. From prospect and member management to check-in, video imaging, incentive points, credit book, A/R, touch screen POS, inventory, EFT, fitness assessments, activity logging, exercise prescriptions and scheduling, Aspen provides the ideal management system for managing the needs of today's members-based facilities.